Finding the perfect gifts for the friends and family who agree to take part on their special day can be a source of stress for many couples. We know you want to give them something that’s both meaningful and affordable, but also useful. We gathered the top unique gift ideas for bridesmaids and groomsmen on every budget so you can check one more thing off your to-do list, and concentrate on the joys of planning the most beautiful day of your lives. 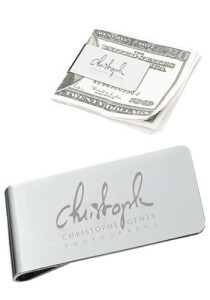 The number one gift for groomsmen, aluminum money clips are the perfect item to show your best buds some love. Elegant, functional and professional looking, these are lasting tokens you can use to show your appreciation and surprise them during your rehearsal dinner or right before the ceremony. Admit it guys - you know you’re just dying to talk about your feelings, and your pals are craving the same affection. Some of them might be feeling a little sentimental and lost in fantasies about your future together, but it is your job to reassure them it’s not the end of the road just yet. Engraved money clips are totems they can carry within their pockets to constantly remind them of what’s real. You now get to make some more wonderful memories with the addition of your lovely lady to the clan. Clips monogrammed with their initials are a great way to solidify that unbreakable bond with your pals. 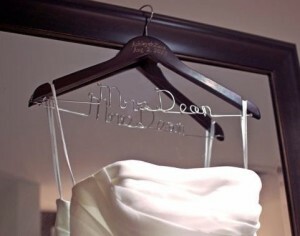 Handmade wedding hangers are simply stunning gift ideas that will truly surprise your bridesmaids. With all the love and care that goes into each and every one of these, the ladies in your party will definitely feel they got something special to remember your wedding day. Get hangers specially molded for your bridal party, and make sure your dress and that of your friends get the special treatment they deserve. Check out this video tutorial we found on just for you, and get molding in time for your big night. 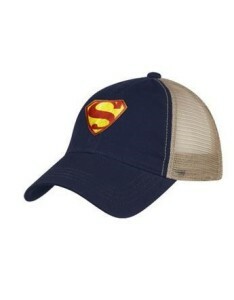 Baseball caps and trucker hats are often underrated gifts ideas. Sure it’s a simple gift, but there’s a humor factor that won’t play into other elaborate gifts. Funny accessories, hats and caps translate into your wedding pictures for that playful tone you’re aiming at. You can get each of your buddies one that’s specific to him, or have matching designs all around. Think sports teams, superhero characters, your favorite TV shows, video games, and more. 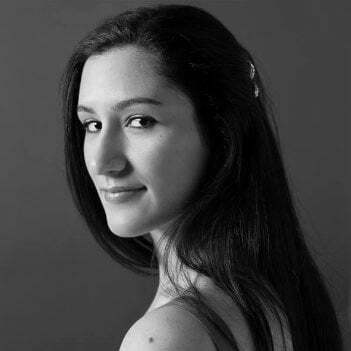 Never mind that you are officially becoming an adult, and are about to commit the rest of your life to raising a family of your own. We’re sure the ladies will give you the green light to still have a little fun. It’s your day too; drop the formalities and make this day as special and unique as that inner child in you. Ladies, are you planning a destination wedding and can’t think of the right way to thank your bridesmaids for their efforts? Jute tote bags are great gift ideas that help you pack a few extra goodies inside, and they can carried around the resort you booked spreading love vibes during your stay. The right way to coordinate just like you used to in high school or early college days, tote bags are a dreamy expression of your friendship and togetherness. 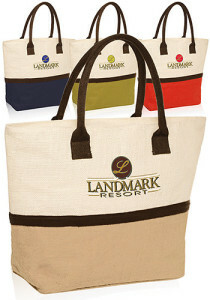 Sit by the poolside, or take a walk down by the shore – custom printed totes will make you experience complete. Plastic tumblers are a girl’s best friend. Okay, maybe it’s diamonds we’re thinking about, but this idea got us pretty excited. 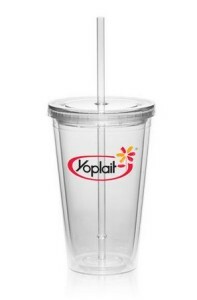 Tumblers with straws make sipping any beverage fun, and are inexpensive gear you can purchase for DIY favors. Personalize with the names of your bridesmaids, fill with candies and other goodies, or monogram with bride and groom name initials and event date. These are fantastic concepts to brighten any party. Unique gift ideas, they are great for bridal showers, or that last trip you’re thinking of making together with your lady friends. They are also ideal complementary gifts you can use to fill the tote bags above. Don’t forget the men who are coming with you to that special destination. 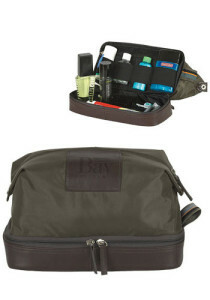 Guys also need a bag to hold their grooming tools, and ladies you want them on their best behavior right? Simple and handy, these are gift ideas that keep the man bun, and the beard happy. Throw in a few travel sized aftershave bottles, cologne, clippers and scrunchies for the long lock gods, shampoo and soap, and get the job done in style. Fully equipped toiletry bags are game changers that’ll have some of your friends thinking you might have, after all, invented the gifting wheel. Wonderful keepsakes for groomsmen, whiskey glasses gravitate towards the finer things in life. Enjoy that delicious distill you’ve been saving for the big day, and delight over their appearance and feel during a game of cards. 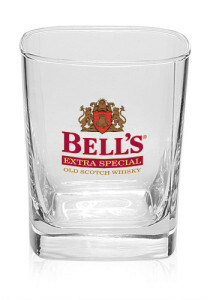 Monogrammed with the initials of your choice, whiskey glasses will go great with a few Cubans. Complete this rite into manhood, and make a statement with your unique group of friends. Create a new tradition that fits with your groomsmen. Your rock glasses add a special touch that call for a lifetime of shenanigans with your inner circle, right in the comfort of your man cave. Matching bride and bridesmaid robes allow you to get ready in style on your wedding day. You can extend these to the maid of honor, mother of the bride and groom, and other special ladies like your granny or nana. Gorgeous and luxurious, robes are unique gift ideas for your wedding party, but can also be used as props by your photographer. Great items that will help capture the sisterhood that is your closest friends and loved ones; they are great accessories for your getting ready memories. Get all dolled up during your hair and makeup session, and celebrate the female goddess with the right treatment. Robes are plush and comfortable wear that will allow you and your wedding party to move freely about the room.